The end on junction of the Birmingham and Fazeley Canal and the Coventry Canal at Whittington is marked with a boundary stone. The Birmingham and Fazeley Canal runs to the right, to the centre of Birmingham. This (disconnected) section of Coventry Canal runs to the left, to Fradley Junction. 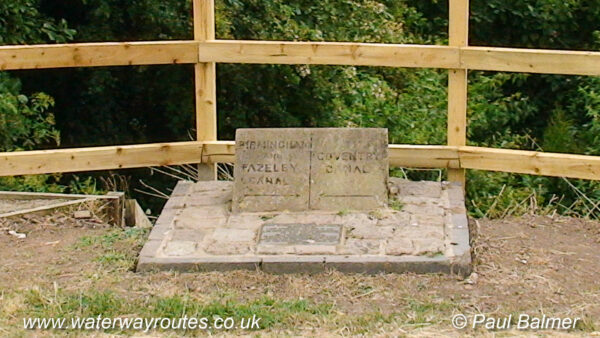 The main section of the Coventry Canal runs from Fazeley Junction to Coventry.